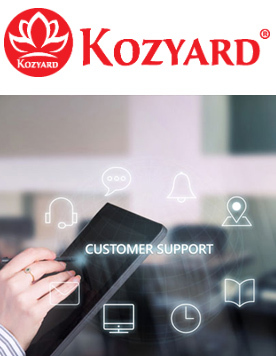 Kozyard.com is a consumer-direct online shopping store, the following describes the terms on which Kozyard offers you access to our services. 2.1 Users may use this Site solely for their own personal or internal purposes. Each User agrees that it shall not copy, reproduce or download any information, text, images, video clips, directories, files, databases or listings available on or through the Site (the “Kozyard.com Content”) for the purpose of re-selling or re-distributing the Kozyard.com Content, mass mailing (via emails, wireless text messages, physical mail or otherwise), operating a business that competes with us, or otherwise commercially exploiting the Kozyard.com Content. Systematic retrieval of Kozyard.com Content from this Site to create or compile, directly or indirectly, a collection, compilation, database or directory (whether through robots, spiders, automatic devices or manual processes) without written permission from us is prohibited. In addition, use of the content or materials for any purpose not expressly permitted in this Agreement is prohibited. 3.1 Each User who has filled out an on-line registration form on the Site by giving its information (such as name, address, telephone and fax number, email address, details of its business, etc.) is a registered user of Kozyard.com (a “Registered User”). Kozyard.com will establish an account (“Account”) for each Registered User and each Registered User will be assigned a user alias (“User ID”) and password (“Password”) for log-in access to its own Account. 3.2 Kozyard.com may assign a web-based email account with limited storage space for the User to send or receive email (the “Email Account”). The User shall be responsible for all users and the content of all the messages communicated through the Email Account, as well as the consequences of any such message. 3.4 We may suspend or terminate a Registered User’s Account or Email Account at any time by giving no less than 24-hour notice to the Registered User; provided, however, that notice is not required for such termination if (a) in our determination, there is any breach of the provisions of this Agreement by the Registered User; or (b) we have reasonable grounds to suspect that such information provided by a Registered User is untrue, inaccurate or is not current or complete, or (c) we believe that the Registered User’s actions may cause financial loss or legal liability to such Registered User, other Users, or Kozyard.com. 3.6 A Registered User may not sell, attempt to sell, offer to sell, give, assign or otherwise transfer an Account, User ID or Password to a third party without the prior written consent of Kozyard.com. Kozyard.com may suspend or terminate the Account of a Registered User. 3.7 Notwithstanding Section 3.1 above, Kozyard.com may refuse registration and deny the issuance of an Account and/or Email Account and associated User ID and Password to any User for whatever reason. 4.2 We acknowledge that it is fully assuming the risks of purchase and sale transactions when using the Site to conduct transactions, and that it is fully assuming the risks of liability or harm of any kind in connection with subsequent activity of any kind relating to products or services that are the subject of transactions using the Site. Such risks shall include, but are not limited to, mis-representation of products and services, unsatisfactory quality in some special customers’ mind, failure to meet specifications, defective products, delay or default in delivery or payment, cost mis-calculations, and transportation accidents. Such risks also include the risks that consumers, other purchasers, end-users of products or others claiming to have suffered injuries or harms relating to product originally obtained by us. All of the foregoing risks are hereafter referred to as “Transaction Risks.” Customers are entitled to defense or indemnification in relation to assertions of rights, demands or claims. 5.1 Our features and services are provided on an “as is” and “as available” basis, and we hereby expressly claims any and all warranties, express or implied, including but not limited to any warranties of condition, quality, durability, performance, accuracy, reliability, merchantability or fitness for a particular purpose. 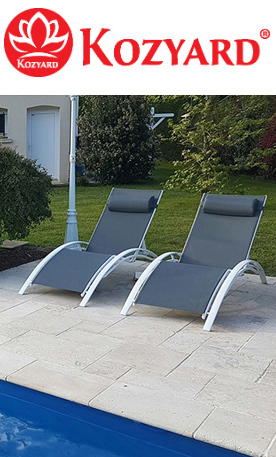 All such warranties, representations, conditions, undertakings and terms are hereby included. Your receipt of an electronic or other form of order confirmation does not signify our acceptance of your order, nor does it constitute confirmation of our offer to sell. Kozyard.com reserves the right at any time after receipt of your order to accept or decline your order for any reason or to supply less than the quantity you ordered of any item. In the event a product is listed at an incorrect price due to typographical error or error in pricing information received from our suppliers, Our Store shall have the right to refuse or cancel any orders placed for product listed at the incorrect price. Kozyard.com shall have the right to refuse or cancel any such orders whether or not the order has been confirmed and your credit card charged. If your credit card has already been charged for the purchase and your order is canceled, Kozyard.com shall immediately issue a credit to your credit card account in the amount of the incorrect price.